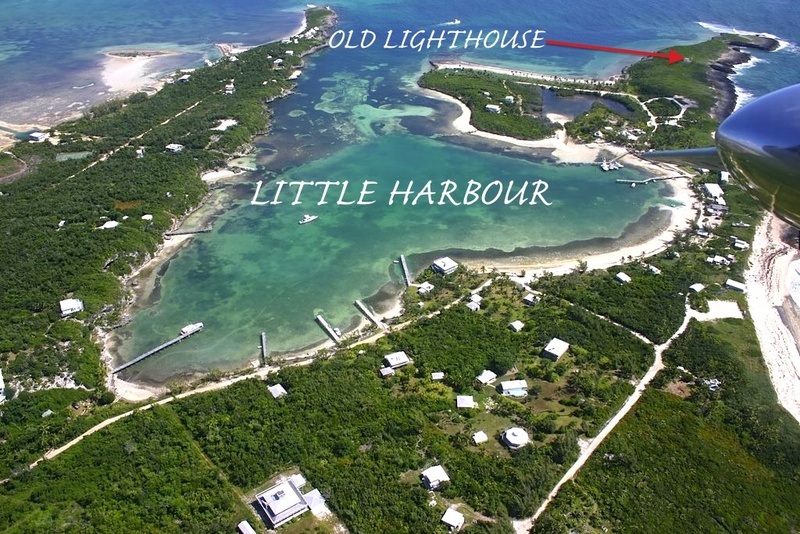 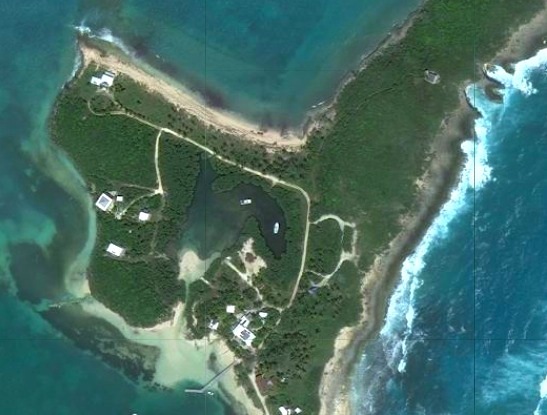 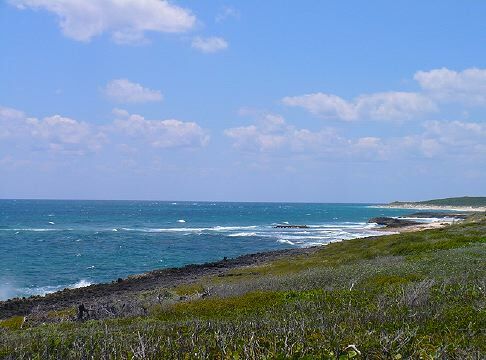 The words ‘Abaco Lighthouse’ are near-synonymous with the splendid striped edifice on Elbow Cay. 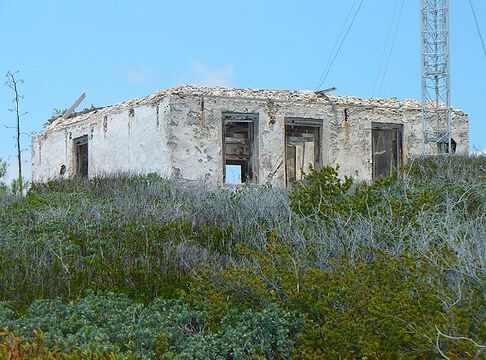 This beloved building is truly iconic, in the modern sense of the word. 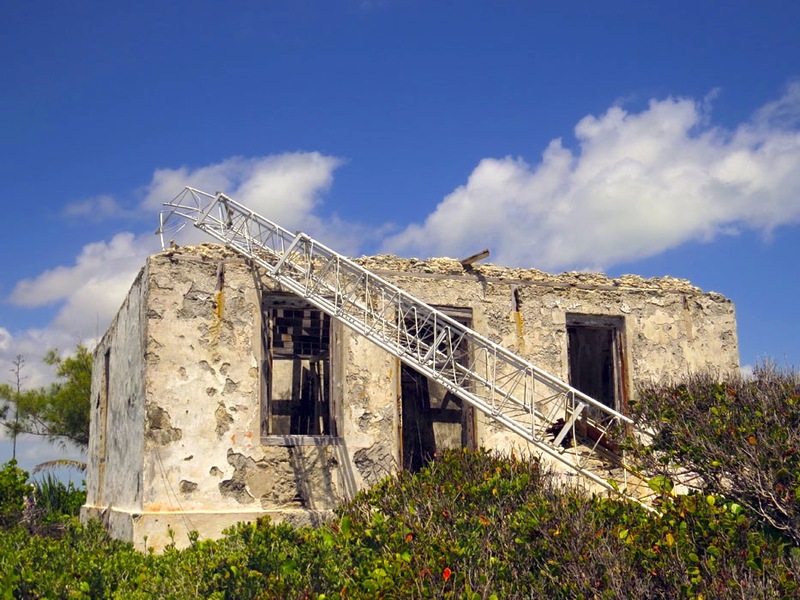 ** But it would not do to forget the other principal lighthouse of Abaco at Hole-in-the-Wall, also with its original Fresnel lenses. 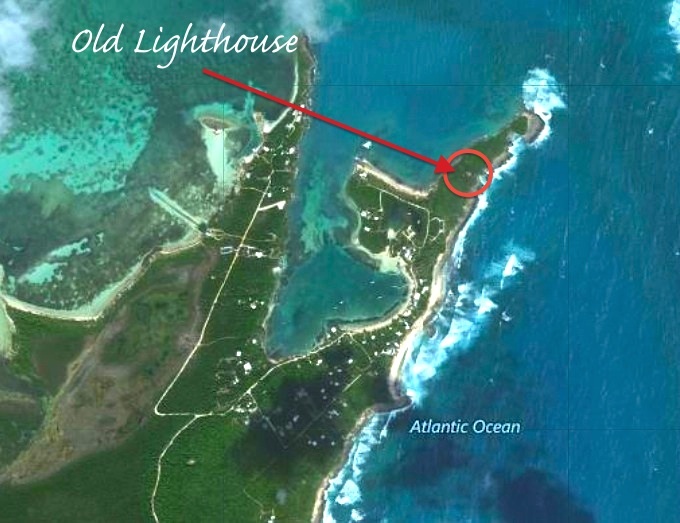 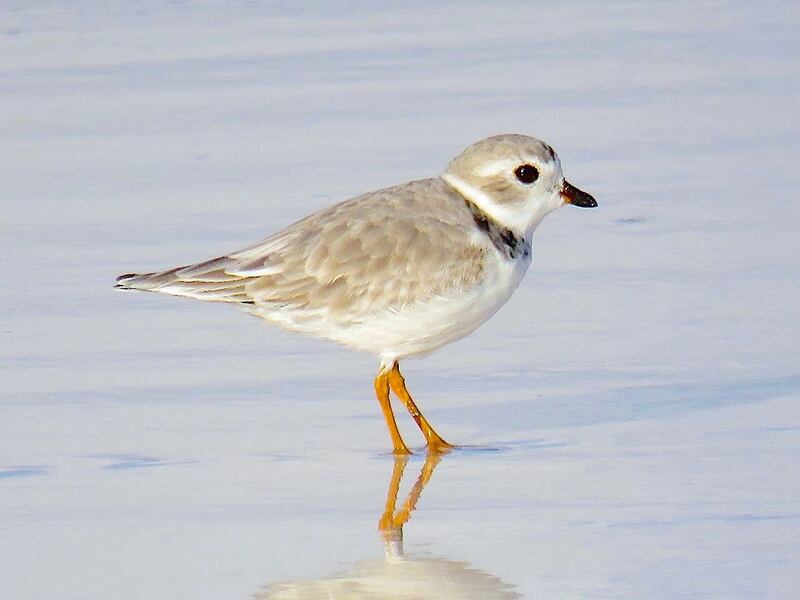 The small light at Little Harbour is by contrast relatively unknown, unvisited and unloved. 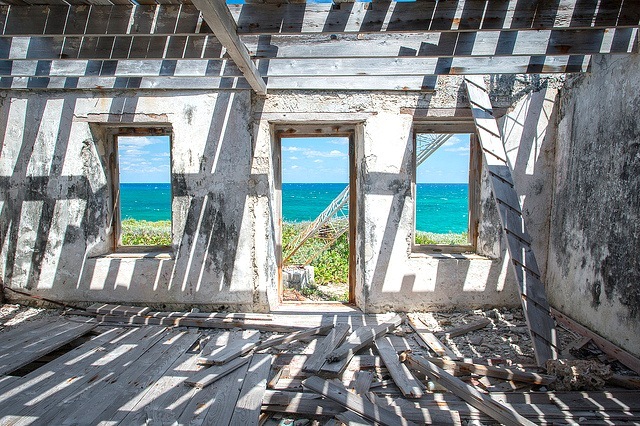 And derelict. 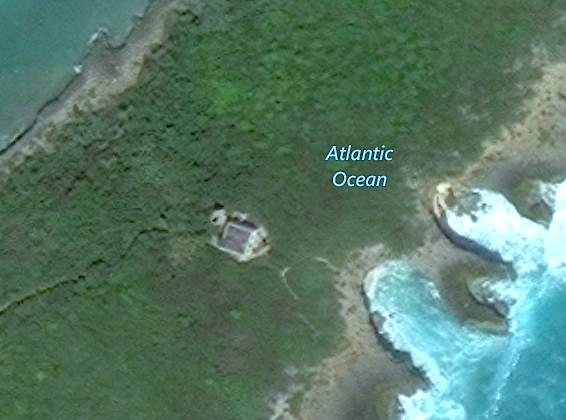 Maybe that explains it. 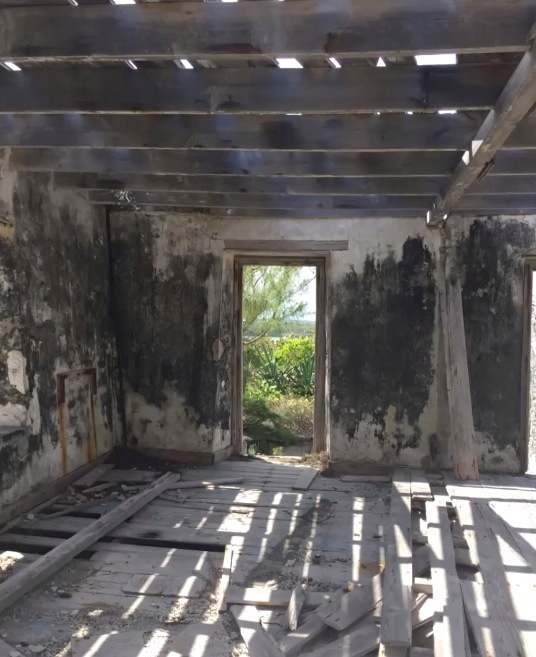 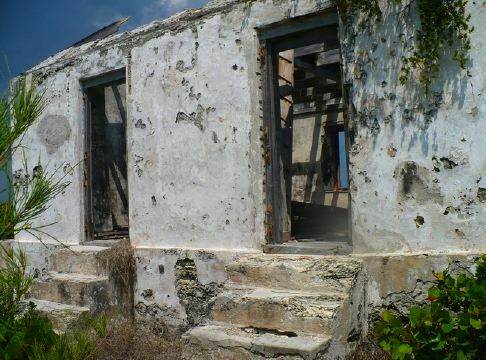 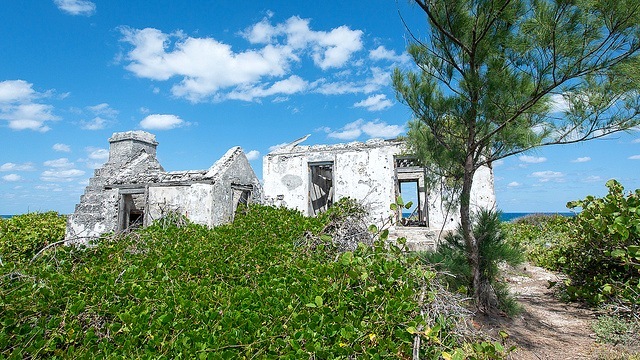 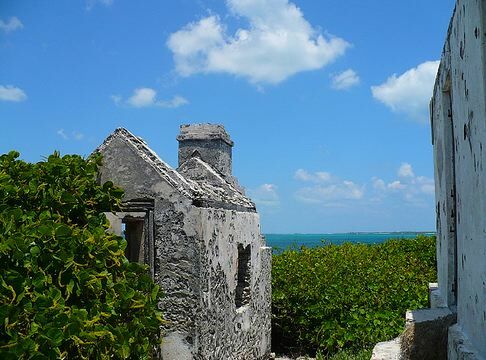 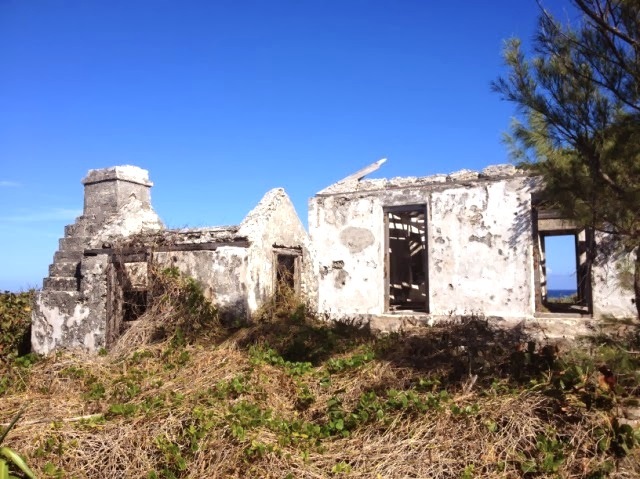 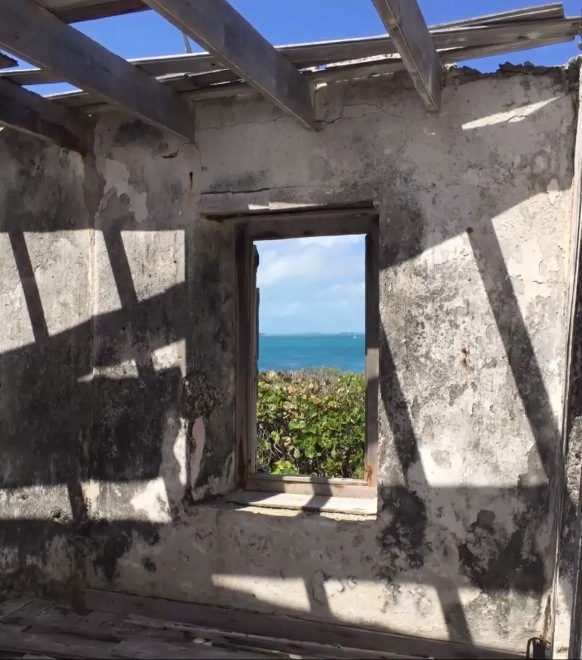 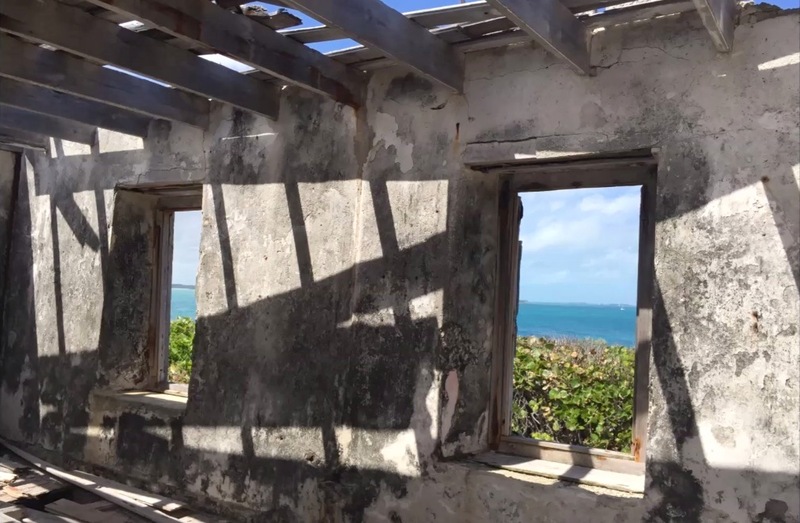 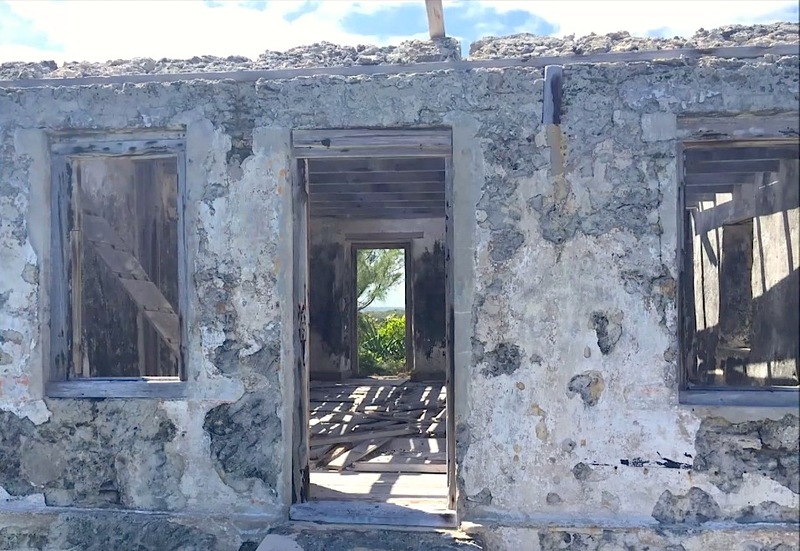 You can read in detail about this neglected relic of Abaco’s maritime history HERE. 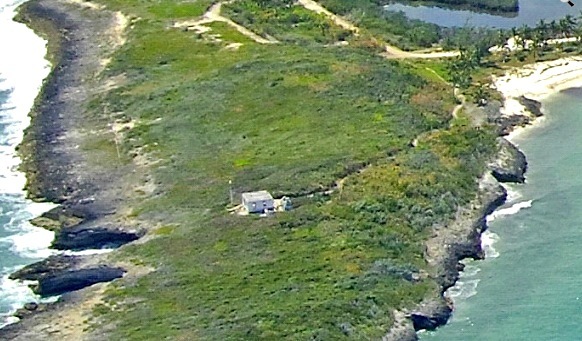 Unusual aerial view of Little Harbour Lighthouse from the north, showing the path to it. 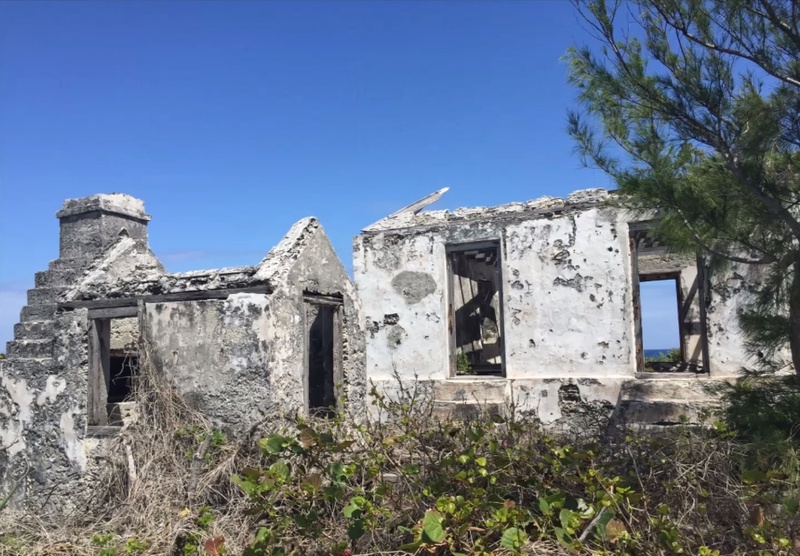 You can see the ‘modern steel framework tower’ referred to in the ROWLETT entry above, replacing the original lighthouse tower destroyed by Hurricane Floyd and after being toppled by Hurricane Sandy as shown above.